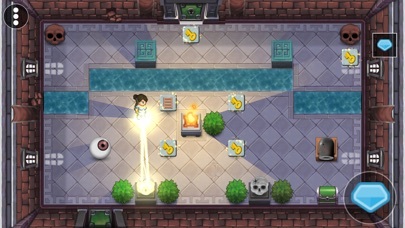 Journey of Haha is a puzzle/adventure game that allows players to control movements of the title character as she searches the Tower of Cerebrus searching for an artifact. 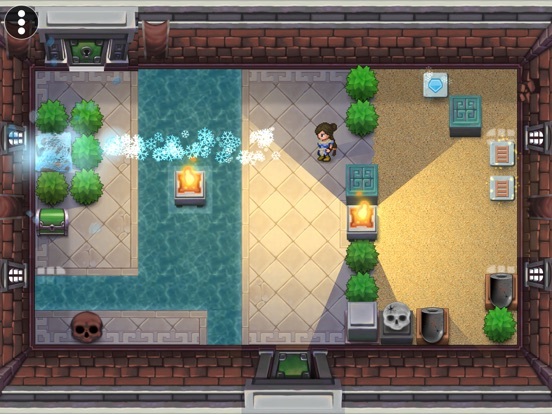 Along the way, Haha must collect keys, unlock treasure chests, and battle a wide array of enemies as she solves puzzles that threaten to block her path on each level. 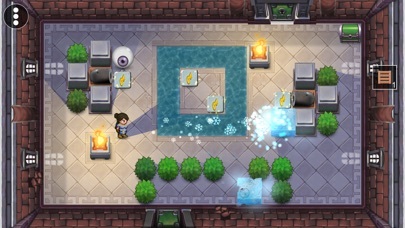 Journey of Haha is a retro-style puzzle/adventure game that challenges players to guide the title character past enemies and around obstacles to collect items and unlock the door to the next level. 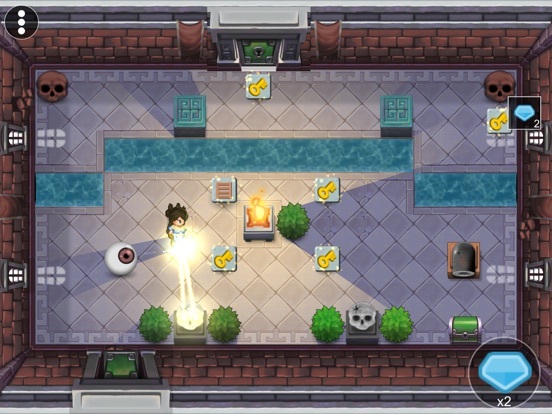 It’s a high-quality app with “retro-style” graphics: colorful but somewhat low-resolution and pixelated, reminiscent of computer games of yesteryear. 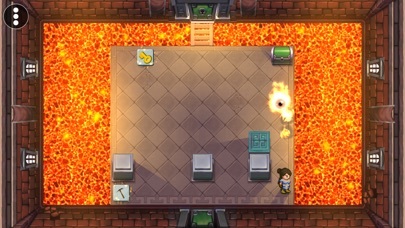 Players have a choice of a virtual joystick or virtual arrow keys to control the character’s movement. 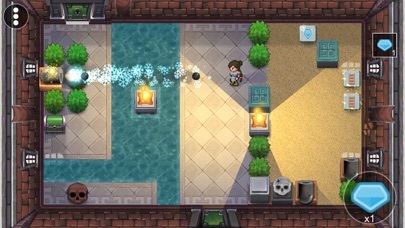 Developers have provided a clear set of instructions and explanations in the “Help” section, and there are options to control background sounds. One feature that might be nice (but I couldn’t find if it’s there) would be to have an option to completely reset the app back to the beginning, so that others in the family could play later. This app is a lot of fun to play if puzzle/adventure games are your thing. 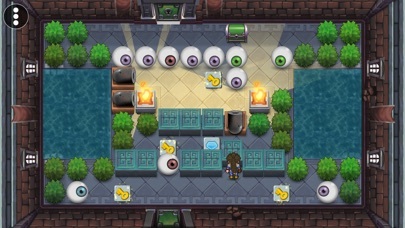 The levels add challenges very gradually, so players can learn as they go. It’s also very nice to be able to restart a level instead of losing all of your progress if you get stuck. 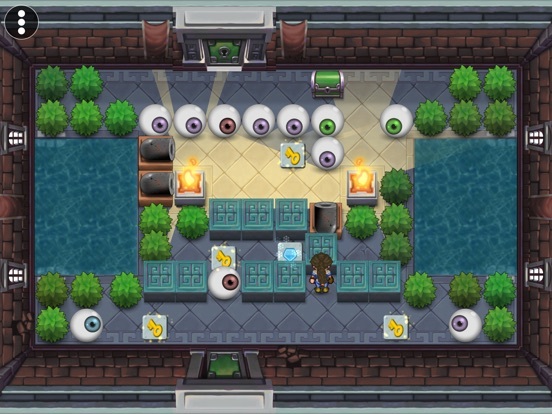 The “enemies” are creative and varied, ranging from benign eyeballs that simply watch you and block your path from time to time, to creatures like the Fire Oclie that shoots fireballs. 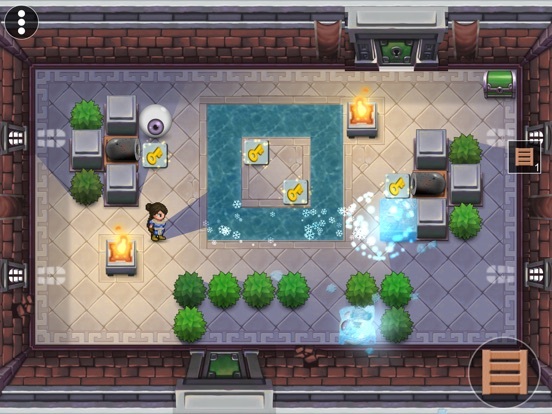 Players can also gain assorted powers as they travel through the game which will help them defeat or avoid enemies and make more progress. 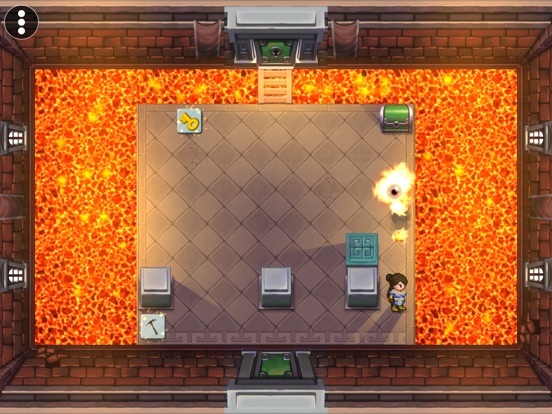 The one addition I would suggest to developers is some sort of hint system to rescue players who become hopelessly stuck on a level-it could get quite frustrating if you were to get stuck on one level and never did figure out a way to move on. This app costs $1.99 on the App Store, and it’s a really good value. 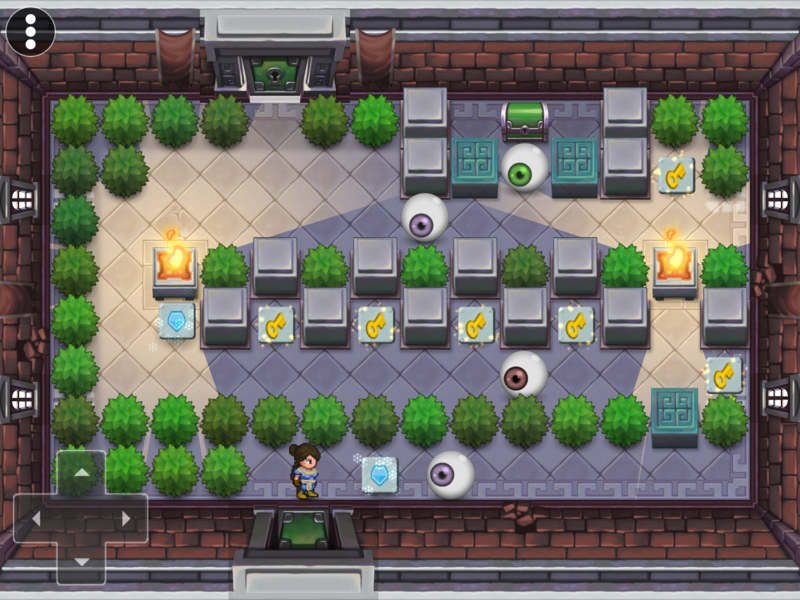 With 50 levels, there’s a lot of play value, and a wide array of puzzles and enemies. The app will certainly challenge most players and give them hours of playtime fun.